Could I have possibly asked for more ideal conditions to photograph this scene on the glorious Canadian prairies? I think not. 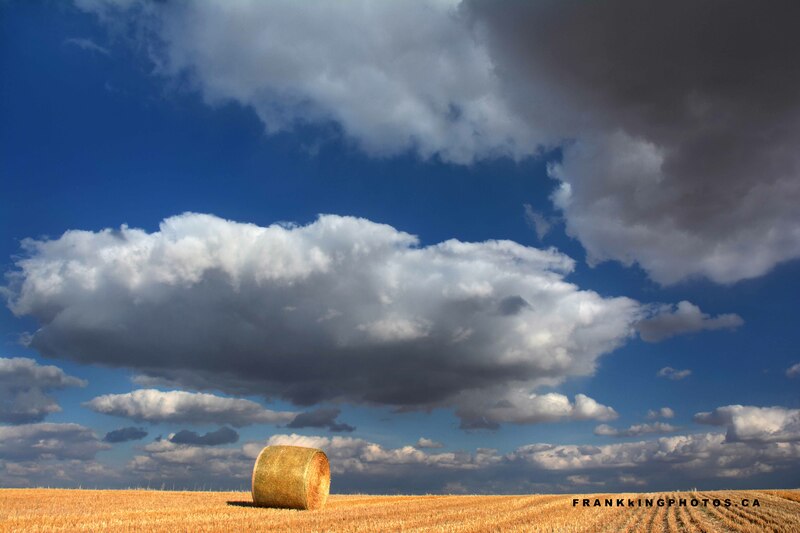 Exquisite photo, Frank. It is so vast here, and looks like the hayroll might just roll off the edge of the earth.